Inbound marketing is a brand marketing strategy that focuses on having customers and potential customers find you. When inbound marketing is effective, it results in your ideal customers seeking you out and investing the time to learn about your brand’s offering as a solution to their need. Like all marketing strategies, to be successful inbound marketing requires careful planning, sufficient resources and persistence. This blog post is the first in our series of post that sets out the steps that leaders need to consider to build a successful inbound marketing machine, to efficiently operate their marketing machine and to increase sales using the power of inbound marketing. Effective leadership in this area will let you go from inbound marketing want-to-be to your brand’s inbound marketing hero. The first step to inbound marketing success is ensure you and your team have committed to brand strategy and brand systems. Take stock of your brand and figure out what work you need to do before creating your inbound marketing machine. Before investing in inbound marketing, you need to ensure that you and your team are committed to at least the key requirements for a minimum viable brand. For some brands, this step requires a simple audit and confirmation, and, for other brands, this is an important but substantial undertaking. 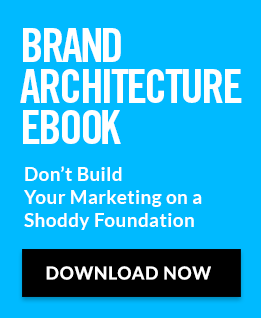 If a substantial branding or rebranding effort may be needed, read our free e-book How To Buy Branding (aka Avoid being BrandScammed) before you commit to an agency, consultant or decide to do-it-yourself. Whatever the state of your brand, make sure you and your team are committed to your brand strategy and brand systems. You risk throwing your brand into damage control mode, if you don’t make sure you have your brand in order before embarking on inbound marketing. Have you defined your brand strategy (brand promise, brand position and brand personality)? Do you have a pragmatic brand strategy summary? A clear concise summary is essential to ensure your team has a clear and concise summary to ensure that they stay “on brand” in all inbound marketing content and communication. We recommend the Distility 1PageBrandStrategy. If you haven’t, are you ready to brand? How to Choose Your Brand Architecture. Brand Architecture Basics: What is an Overbrand? Brand Architecture – When Resistance Trumps Reason. Have you committed to your brand systems? Brand systems are the visual and verbal systems representing your brand — names, symbols, concepts, colours, images, fonts, tag-lines and the like. By using your brand systems consistently, you can create a valuable intangible asset that ensures recognition, memorability and relevance in the minds of your stakeholders. For more, see our post on Brand Building – The Value of Commitment. While commitment is key, you should also make an honest assessment of whether your brand systems are up to snuff. You want your brand systems to be at least as good as (or ideally better than) your primary competitors. For more, see our posts: Would you wear a bad suit to meet your best customer? and When is it Time to Rebrand?